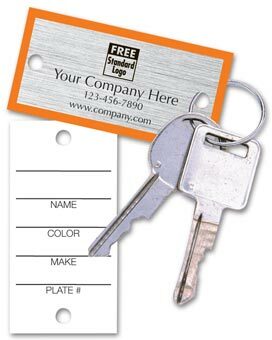 Let your customers know you're thinking about them by sending them custom imprinted promotional Key Tags.A popular, cost-effective favorite that promotes your business every time customers open a door or turn the ignition! 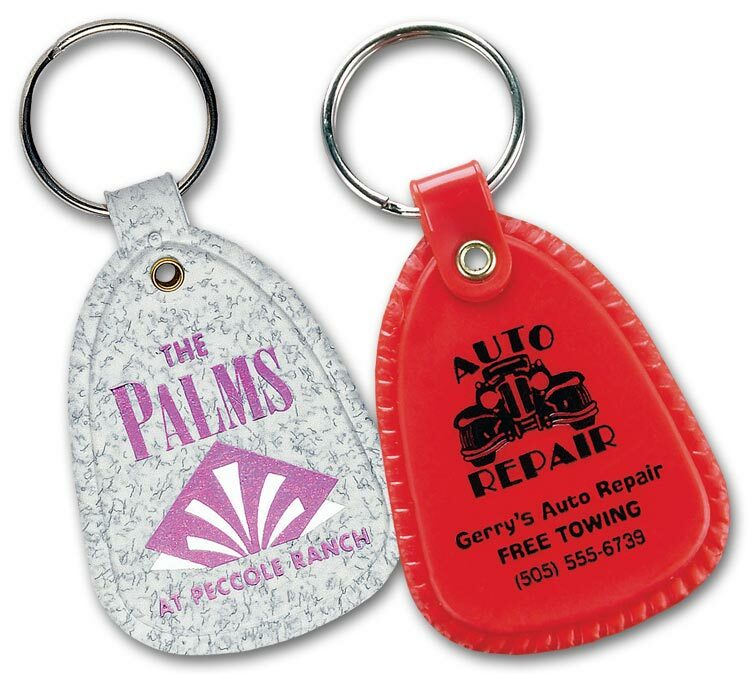 Let your customers know you're thinking about them by sending them custom imprinted promotional Key Rings.Open up new opportunities with customers by putting your message on this handy tool/keyring. Ideal for outdoor events and picnics. Let your customers know you're thinking about them by sending them custom imprinted promotional Flashlights.Show your logo in its best light, with this compact pocket-size flashlight. Keep keys organized! 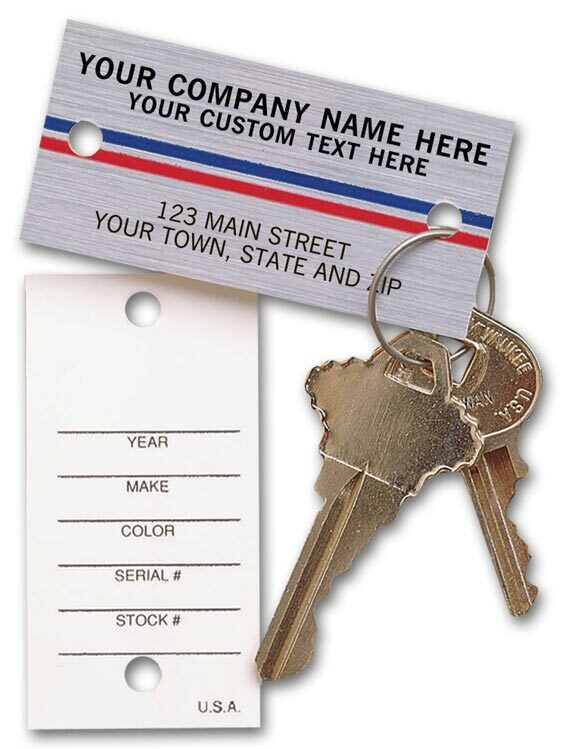 Bright yellow tags come printed with handy checkboxes for rentals, sales and more. Our most popular auto key tags prevent service mixups & deliver miles of free advertising - for a few cents apiece!Handsome chrome-look key tag & metal ring keep the right keys with the right car, while giving customers a lasting reminder of your shop or dealership. Easily prevent service mix-ups with these brightly colored key tags. Definitely a must-have in any shop environment.Keep the right key with the right car! 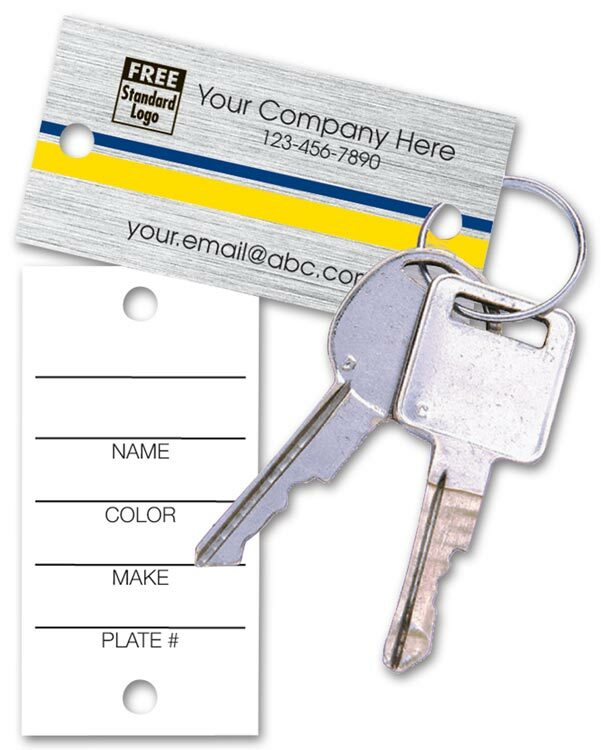 Easily prevent service mix-ups with these brightly colored key tags. Definitely a must-have in any shop environment.